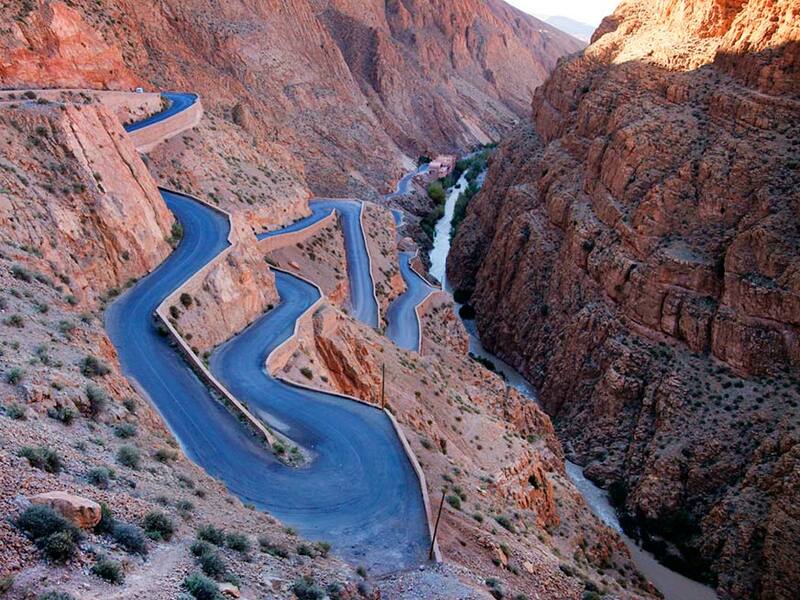 Drive along the High Atlas Mountains and Tizi n Tichka. 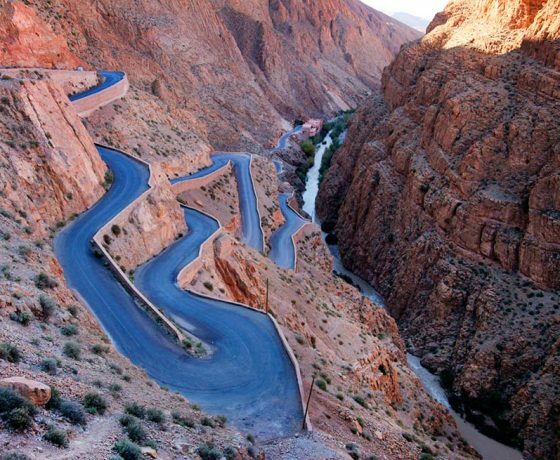 Cross the Mountain Berber villages and enjoy the beautiful nature. 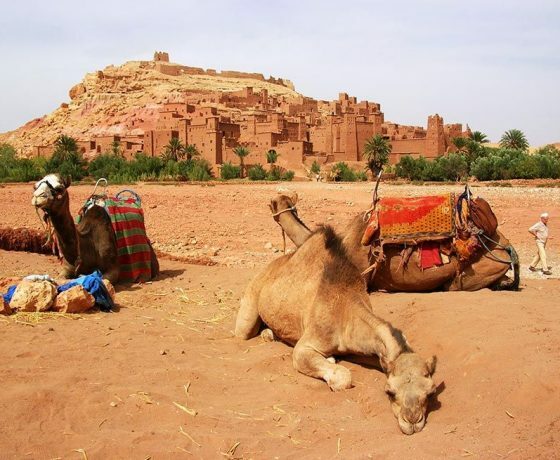 This journey involves a spectacular opportunity to see a great deal of Morocco all within one full day. 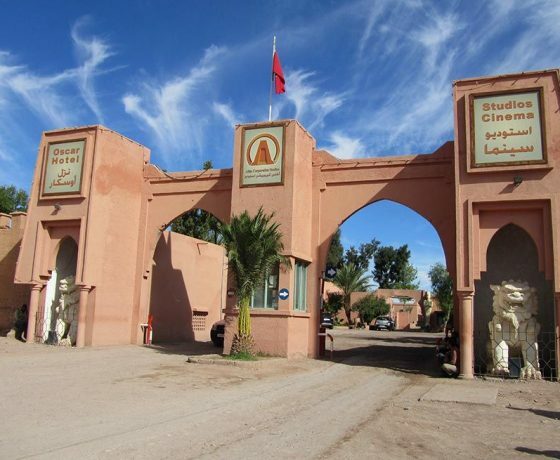 It is the ideal trip for those who do not wish to spend a few nights sleeping out in the desert and want to be back in Marrakech for an evening eating out. The day begins early as we will be leaving Marrakech before 8.00 am and our drive will then take us across the High Atlas Mountains. The rugged beauty and height of these peaks will have you glued to the window in our minibus as we snake through the mountain roads. 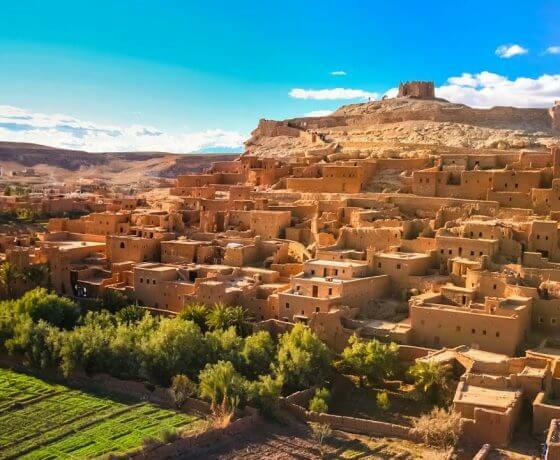 There are several small Berber villages along the route and we will get a chance to stop a take some photographs of the elevated scenery before making our way to the Kasbah at Ait Ben Haddou. It will be another couple of hours before we reach here but the scenery will remain stunning throughout. 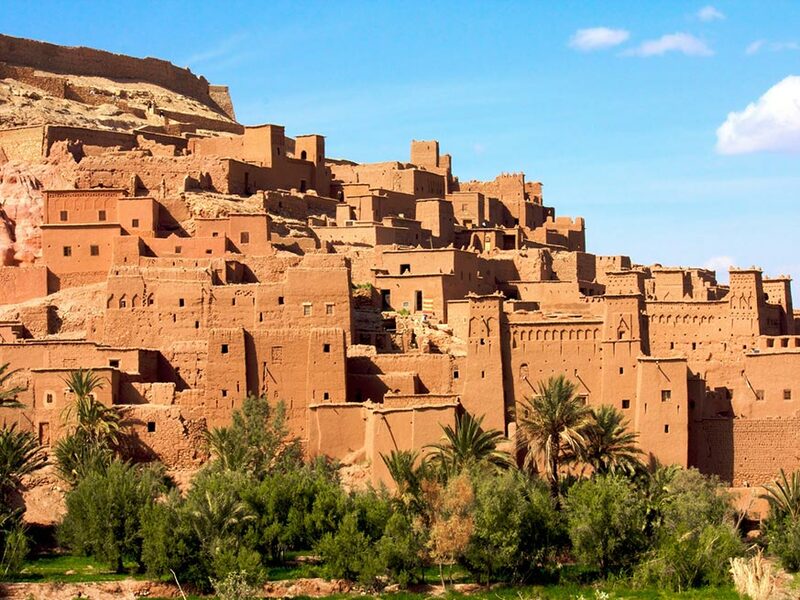 The Kasbah at Ait Ben Haddou is a fortified village which holds about half a dozen market areas and merchant houses. Our tour around this old building will be guided. 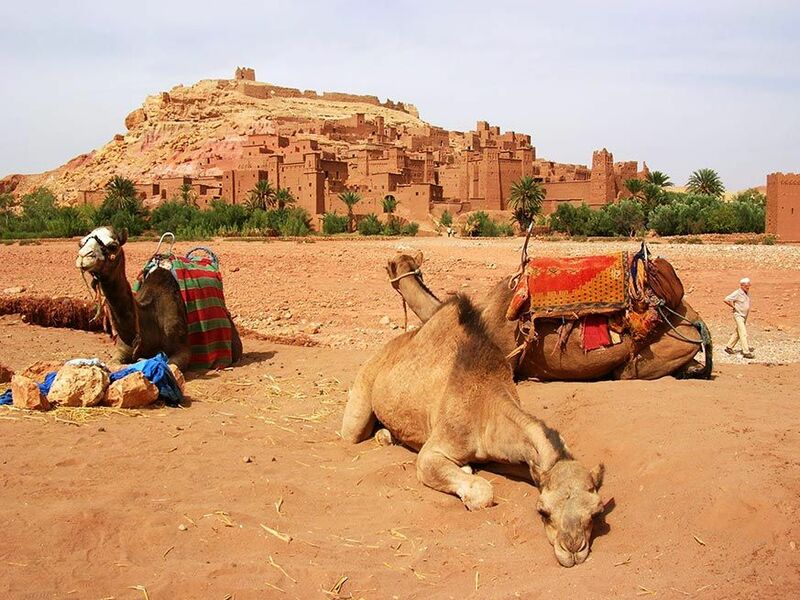 Like Ouarzazate – which will be the next stop on this tour – Kasbah Ait Ben Haddou is a very popular location for Hollywood film crews and production companies. You will see exactly why it makes a great setting for a number of films set in biblical times, ancient Arabic legend or movies set thousands of year ago. 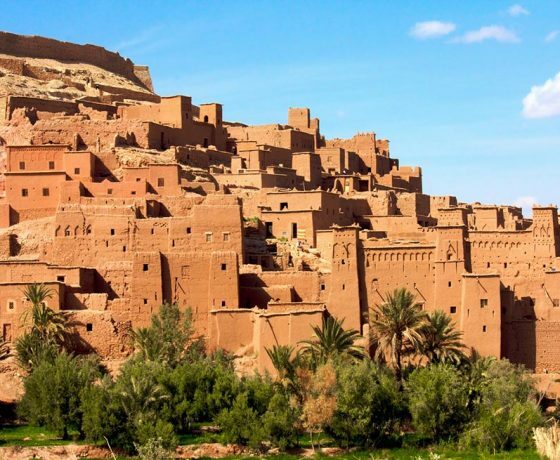 Sodom and Gomorrah (1963), The Man Who Would Be King (1975) and The Jewel of the Nile (1985) all made use of the ancient fortified village here at Kasbah Ait Ben Haddou. 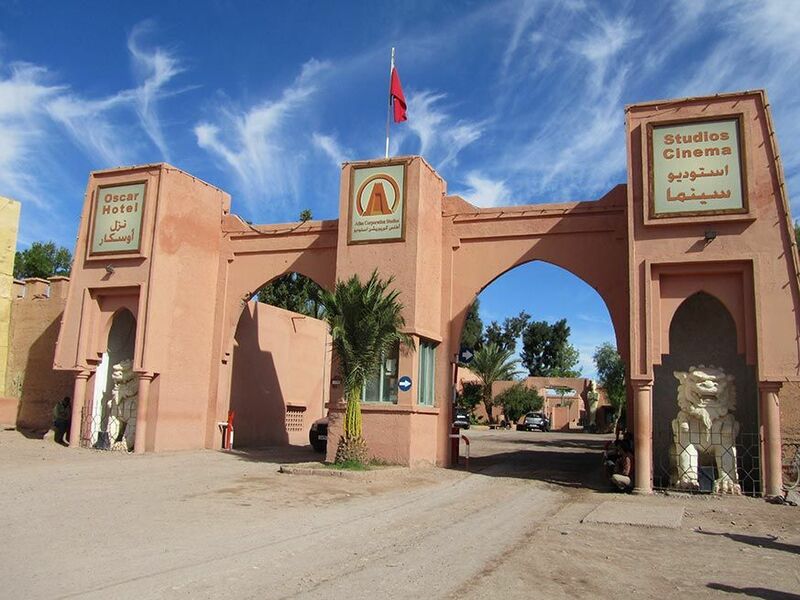 Our day of adventure then moves onto Ouarzazate, where we’ll tour around this city and see the film studios. 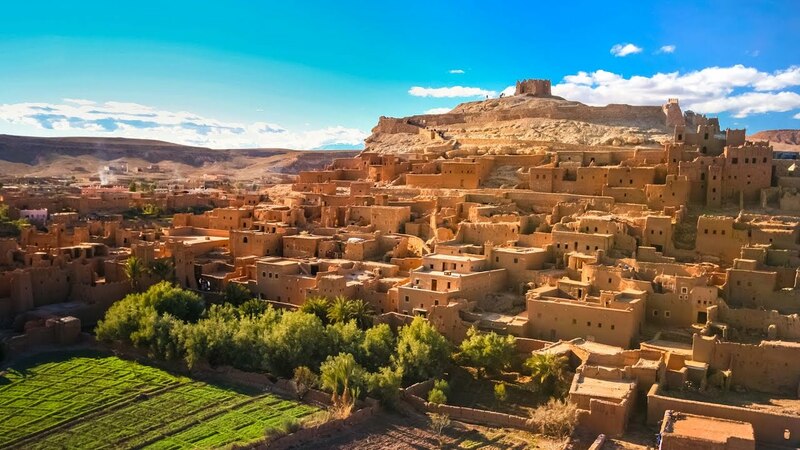 Ouarzazate is a much-loved location by film production, many of whom specifically come here because of the ancient buildings, golden landscapes and stunning scenery. One feels as though you have taken a trip back in time as you explore the ancient Kasbahs, golden clay buildings and don’t be surprised to see a Hollywood film crew shooting a movie here. Some of the blockbuster movies shot in this location include the Bond classic Living Daylights (1987), Lawrence of Arabia (1962) and The Last Temptation of Christ (1988).